Experienced Residential and Commercial Construction & Roofing Services for Arapahoe County Residents, including Centennial, Littleton, Englewood, Greenwood Village, and Aurora, Colorado. Your home is your private sanctuary. You have most likely invested a lot of time, money and effort in order to make your home as comfortable as possible. If your home were to get damaged from a storm or through an unforeseen accident, the last thing you want to do is deal with the unnecessary consequences of second-rate work or overspend on restoration work. When you call Priority Restoration, one of our project managers will personally visit your home. You can rest assured that our staff will make your home their top priority. Our team of experts will always provide you with an honest damage assessment, and if any repairs are required, they will thoroughly explain why those repairs need to happen and answer any questions you might have. Our restoration plans include the latest techniques and products available, including solutions that can help to make your home more environmentally friendly and reduce the cost of your future energy bills. In addition to servicing residential homes, we also provide maintenance for multi-dwelling properties such as condominiums, apartments, and senior living facilities. We also specialize in gutter leaks and siding and roof repairs, including repairing hail damage. Our commercial construction division has many years of experience when it comes to working on large construction sites. Whether you are building a senior living center, an apartment complex, or a school, Priority Restoration is fully staffed to handle any job from 1-3,000 squares. We are OSHA certified so you don’t need to worry about any violations or compliance issues. Do You Need Any Of Our Services? 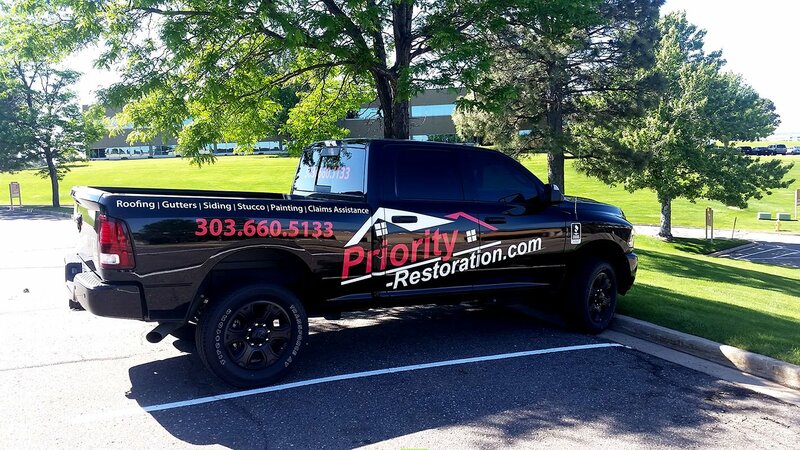 Priority Restoration serves all of Colorado, including Centennial, Greenwood Village, Littleton, Englewood, Aurora, and all of Arapahoe County. We repair hail damage and offer additional storm restoration services. We offer several multi-dwelling Service Maintenance Plans that incorporates routine and preventive maintenance that will take the hassle out of exterior maintenance of your property. If you require any of our services, please request a quote or contact us and we will get back to you as soon as possible.